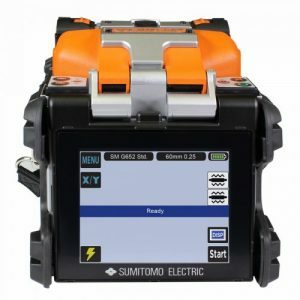 Sumitomo Electric Lightwave introduces the Q102-CA Core Alignment Fusion Splicer to its Quantum splicer portfolio. 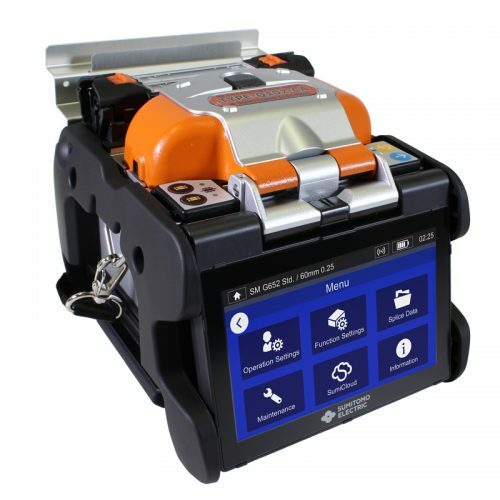 Maintaining all of the industry-leading features of the previous Q101, the new fusion splicer continues to raise the bar in performance and reliability. 5 second splice and 9 second heating times coupled with Sumitomo’s patented dual independent ovens improve efficiency by over 80% for perfectly streamlined and consecutive splices.The Q102-CA’s completely redesigned user interface provides a “smartphone-like” experience for inspecting minute areas of fiber with a simple drag and zoom. The new fusion splicer also features a new rugged frame withstanding twice the shock as the previous generation. We currently have 1 Factory Refurbished Type-Q102-CA in-stock. With Dual Splice Protection Sleeve Heaters. Contains Type−Q102−CA Fusion Splicer, Sheath Clamps, Jacket Remover, AC−Interface, Battery & Cord, Spare Electrodes, Fiber Protection Sleeves (pack of 50), Cooling Tray, Cleaning Supplies, Operation Manual, Transit Case. Includes a 3−year limited warranty. With Dual Splice Protection Sleeve Heaters. 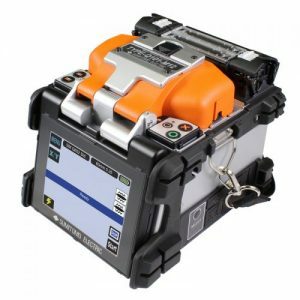 Contains Type−Q102−CA Fusion Splicer with Sheath Clamps, Precision Fiber Cleaver (FC−6S−C), Jacket Remover, AC−Interface, Battery & Cord, Spare Electrodes, Fiber Protection Sleeves (pack of 50), Cooling Tray, Cleaning Supplies, Operation Manual, Transit Case. Includes a 3−year limited warranty. With Dual Splice Protection Sleeve Heaters. Contains Type−Q102−CA Fusion Splicer with Sheath Clamps, Precision Hand−held Fiber Cleaver with Automatic Rotating Blade (FC−8R), Jacket Remover, AC−Interface, Battery & Cord, Spare Electrodes, Fiber Protection Sleeves (pack of 50), Cooling Tray, Cleaning Supplies, Operation Manual, Transit Case. Includes a 3−year limited warranty. With Dual Splice Protection Sleeve Heaters. 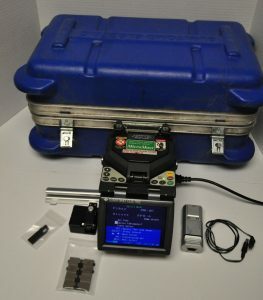 Contains Type−Q102−CA Fusion Splicer with Sheath Clamps, Precision Fiber Cleaver with Automatic Rotating Blade (FC−6RSC), Jacket Remover, AC−Interface, Battery & Cord, Spare Electrodes, Fiber Protection Sleeves (pack of 50), Cooling Tray, Cleaning Supplies, Operation Manual, Transit Case. Includes a 3−year limited warranty.